Pretoria Sungardens Hospice was founded by Shelagh Lahoud and subsequently established in 1987, and Mamelodi Hospice in 1994. These hospices were established out of a need that existed in the community to take care of terminally ill patients. This particular Hospice and the one sattelite Hospice serve the greater Tshwane Metropolitan area. The main administrative and in-patient unit is situated in Pretoria (corner of January Masilela and Lynnwood Road). We offer a programme of specialised home-based care to patients and their families who must cope with terminal illness such as Cancer, HIV/AIDS, final stages of emphysema and Motor Neuron Disease. Although we have a 7-bed in-patient unit on our premises, which provides short-term medical care, including pain and symptom control, the main thrust of our work is for our professionally trained nurses to visit the patients and their families in their own homes to provide physical care, practical help and emotional support approximately 300 patients at any given time. The Hospice team is also involved in day-care programmes, bereavement counselling and training. Respect for people is paramount in the care of our patients and families. Coming to terms with a life threatening illness is as important as coming to terms with life and may provide profound insights into the purpose of living. Each person is to be valued and should be treated with dignity, compassion and respect according to the ethical principles of autonomy, beneficence and non-maleficence in this regard. The terminally ill should have the right to retain control and share fully in the decisions concerning what is appropriate for them. They have the right to their religious views, their cultural beliefs and their personal philosophies. Sungardens Hospice care involves a holistic approach but is flexible enough to focus on individual need if this seems appropriate to patients and their families. Sungardens Hospice is a medically directed nurse coordinated programme of care which draws on the resources of both professional and trained caregivers supported by a large group of volunteers. All participants involved in care abide by the principles of confidentiality, truth telling and trustworthiness. The aim of Sungardens Hospice is to provide and promote a programme of comprehensive palliative care dedicated exclusively to patients and their families facing progressive and life threatening illness. This is a professional programme of care responding to physical, emotional, social and spiritual needs in partnership with other organisations. 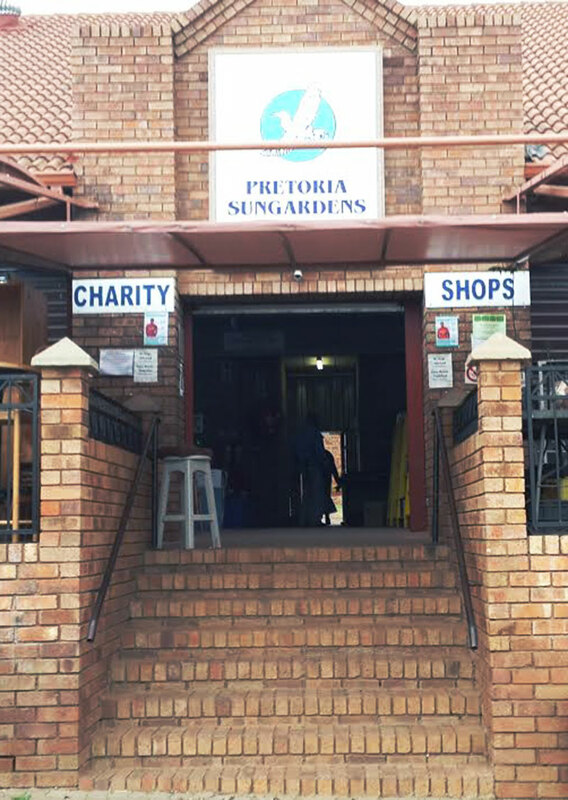 Sungardens Hospice seeks to provide and promote quality Palliative Care for all people living with a life threatening illness within the Pretoria area. Gill Marcus was born in Johannesburg, South Africa in 1949. Both her parents were anti-apartheid activists and in 1969 the Marcus family went into exile in the United Kingdom. During this time she completed a B Comm degree from the University of South Africa. She joined the African National Congress (ANC) and in 1970 Ms Marcus started working for the ANC’s Department of Information and Publicity (DIP) and later became the DIP’s deputy secretary. In 1996 she was appointed as Deputy Minister of Finance and in 1999 as Deputy Governor of the South African Reserve Bank. After serving as the first female Deputy Governor of the South African Reserve Bank for a period of five years, she took up the position of Professor Policy, Leadership and Gender Studies at the Gordon Institute of Business Science in 2004. In 2007 she became the non-executive Chairperson of the Absa Group. She held this position until her appointment as Governor of the South African Reserve Bank on 9 November 2009. 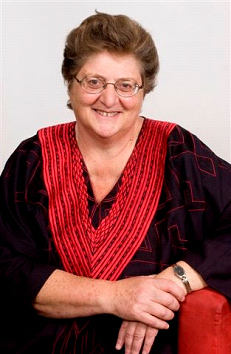 Gill Marcus is the ninth Governor but the first female to become Governor of the South African Reserve Bank. Ms Marcus has previously served as chairperson of a number of regulatory and supervisory bodies, including the Financial Services Board and the Standing Committee for the Revision of the Banks Act. She has also served as a non-executive director of Gold Fields Ltd, the Advisory Board of the Auditor General and was a member of the Millennium Labour Council. Ms Marcus is currently the Chairperson of the Rhodes Scholarship Fund. She is the patron of the Pretoria Sungardens Hospice and the Working on Fire Programme and a supporter of the Johannesburg Children’s Home. Mr Simon Kekana has been serving on Sungardens Hospice’s Executive Committee for the last 18 years. He was elected Vice Chairman during the period of 2005/2006. During September 2006 Mr Kekana succeeded Mr Peter Grant as our Chairman. Mr Kekana is a fond and respected member of the Community and in addition served as the Chairman of the Sungardens: Mamelodi Hospice for the past 10 years. He boasts a diploma in Social Work and operates as the Project Manager for the Pretoria Development Trust. Other portfolios include: Secretary and Founding member of the Mamelodi YMCA; Chairperson of the self Help Skills Training Centre, Vice Chairperson for the Workshop of the Blind and Board Member of Edutek Pre-School Training and Development. Not-withstanding his demanding schedule, Mr Kekana’s heart, soul and passion lies with Sungardens Hospice and his dedication with regards to serving our organization – remains high on his list of priorities. © 2018 Sungardens Hospice. All rights reserved.